Organic farmers are no strangers to record keeping and the Organic Council of Ontario would like to recognize the outstanding work you do on your farms and to support you through the development of the “Biosecurity: Protecting Your Livestock and Crops Visitor Log Book” which was created in partnership with the Ontario Livestock and Poultry Council (OLPC). It is the responsibility of each farm to provide tracking information and ensure safety precautions are being taken on the farm. In addition, OMAF expects farmers to implement best management practices for biosecurity, thus the Visitor Log Book is an important resource. Using this log book is one thing you can do to increase safety by reducing exposure of your farm to pathogens or pests. In the case of an outbreak, the log book provides a level of traceability that will allow you to track the source of the problem and preserve your farm’s integrity. The Biosecurity Visitor Log Books allows you to record information about your visitors such as their name and the company they represent, the purpose of their visit and the date and location of the last farm they visited. This means that if there is ever an outbreak on your farm of a certain disease or pest, you can check your log book to see if someone who visited may have brought the disease or pest from another farm. With a couple of calls you can confirm how it got to your farm and stop the spread to additional farms. The book also provides tips for setting up biosecurity systems on your farm for your visitors, for reducing the spread of diseases and pests between farms and for upholding a high standard of animal and crop health management. 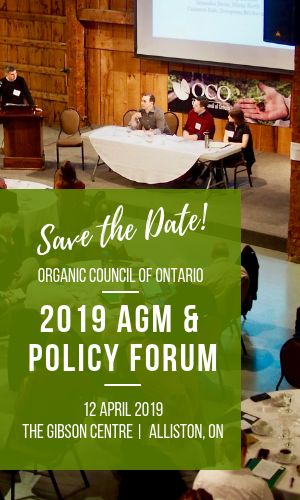 Systems take some time to put in place, so OCO is providing a service to our members through our involvement with various organizations such as the OLPC to produce useful resources so that you can continue to do your important work on the farm. This is much more efficient than each farm developing their own log book! Members can receive Log Books for free, however we ask that you pay for shipping. Non-members can receive the log books at $30 per book + shipping. You may also pre-order a book for us to bring to an event you plan on attending. Please let us know if you would like to order several books for other members you will be seeing. The log book is also available online here. This resource was produced in late 2012 out of a two-year project working in collaboration with the Ontario Livestock and Poultry Council.